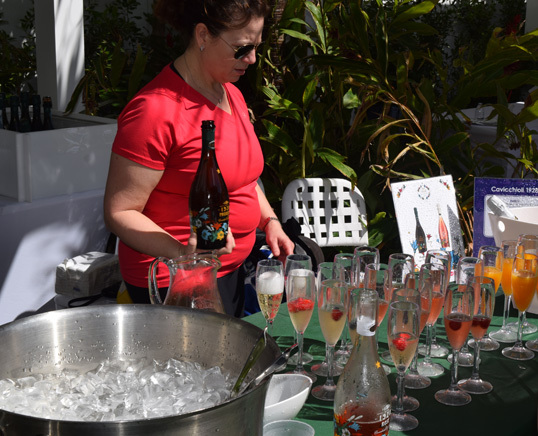 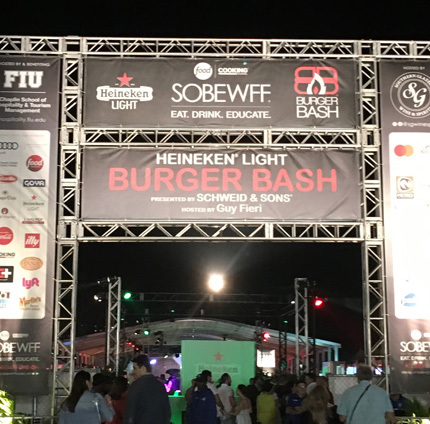 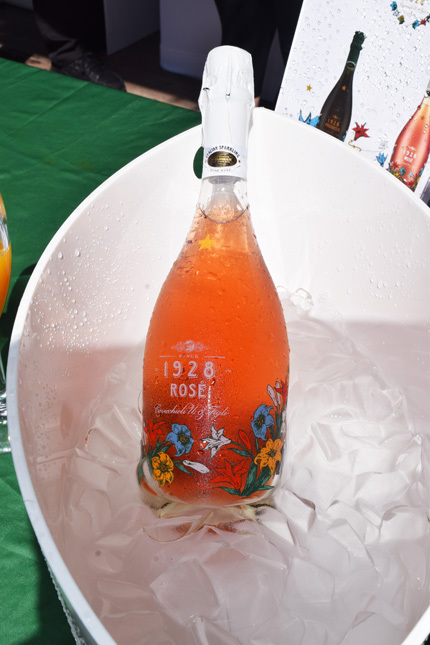 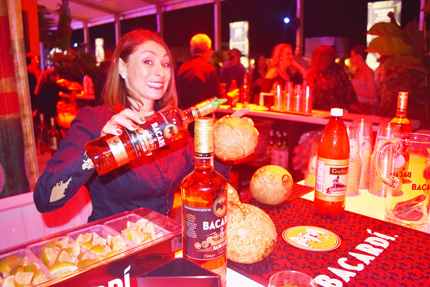 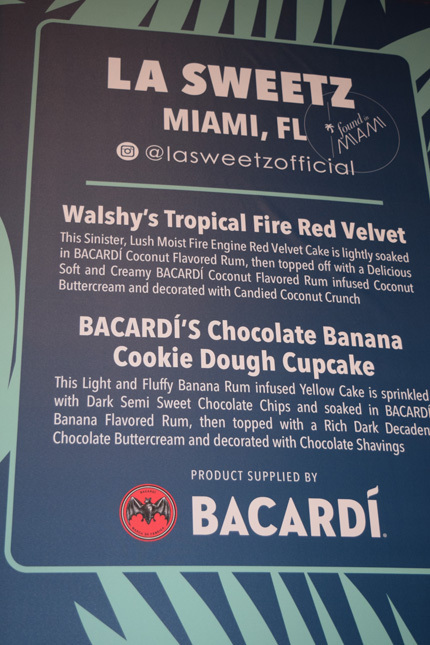 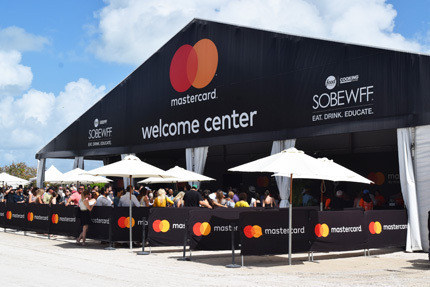 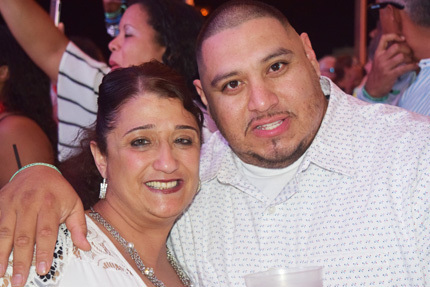 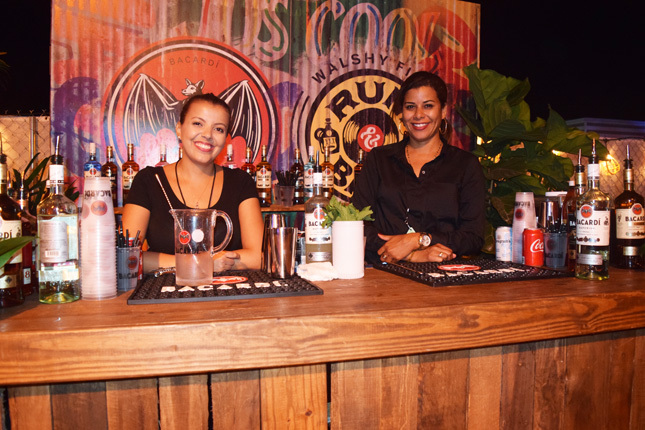 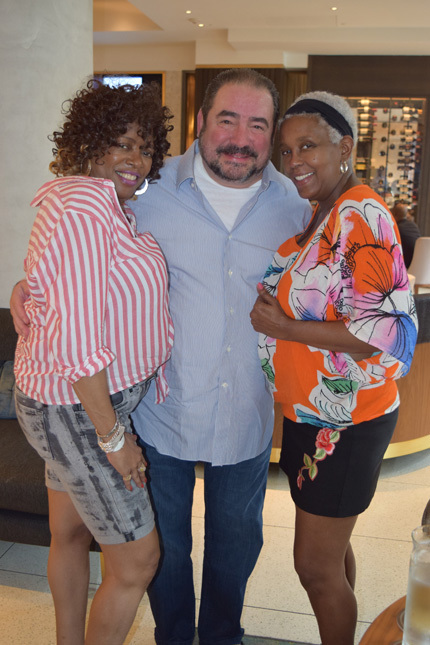 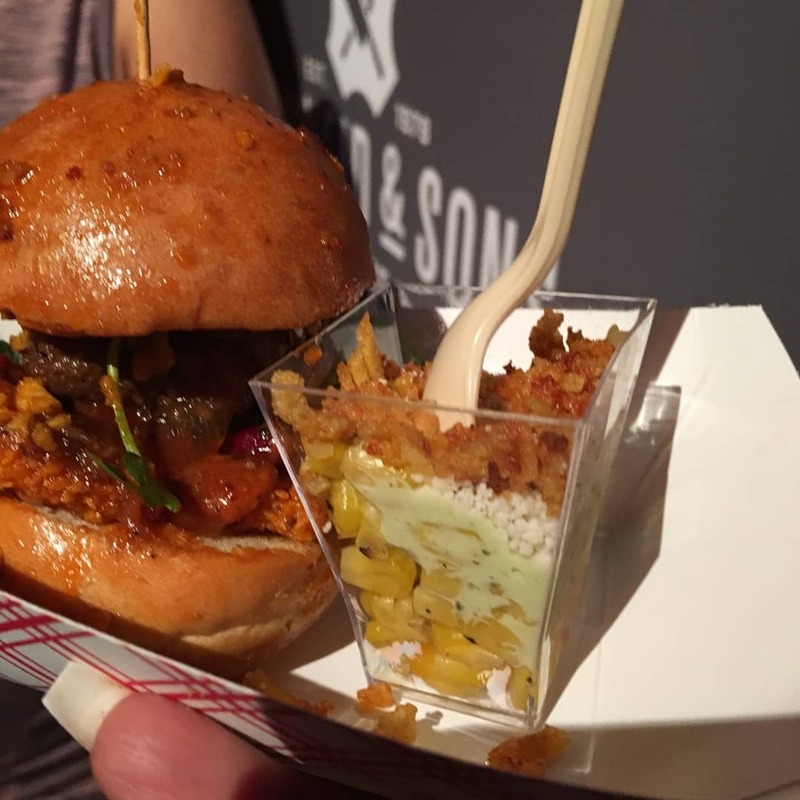 This year’s 16th annual South Beach Wine & Food Festival held annually in South Beach was more of a modest event this year. 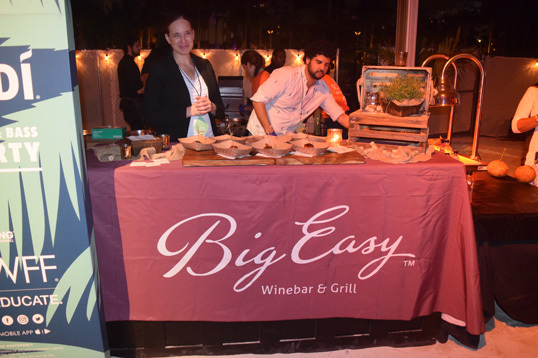 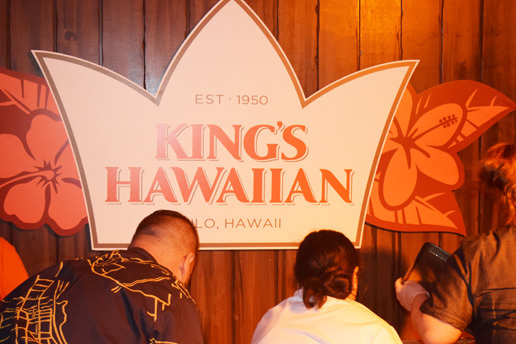 The usual culinary suspects held court at Loews Hotel, the Goya Grand Tasting Villages and Friday Nights Burger Bash. 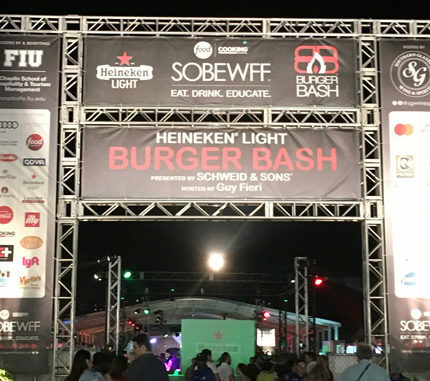 The Burger Bash host this year was Food Network rockstar Guy Fieri! 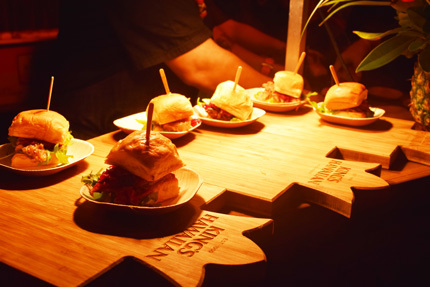 The Friday night burger bash is always a winner! 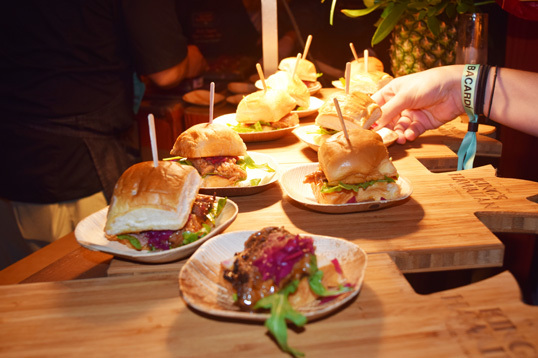 Burgers, burgers and more burgers were on display giving participates a taste of cheese, double decker burgers, sweet soft buns topped with chipotle, caramelized onions and more to satisfy the most critical palate. 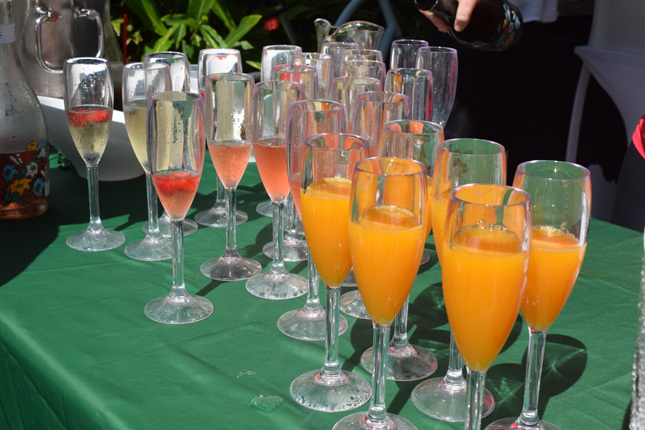 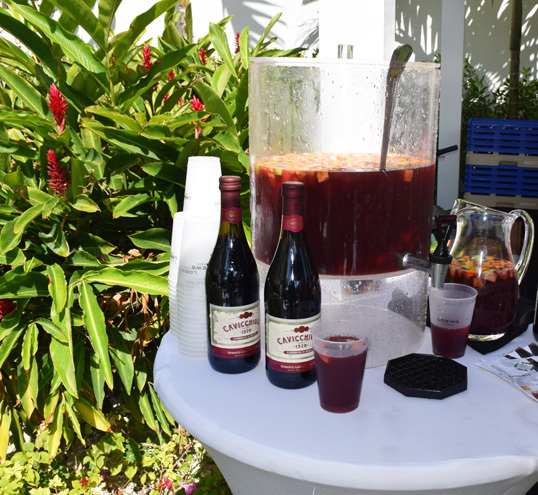 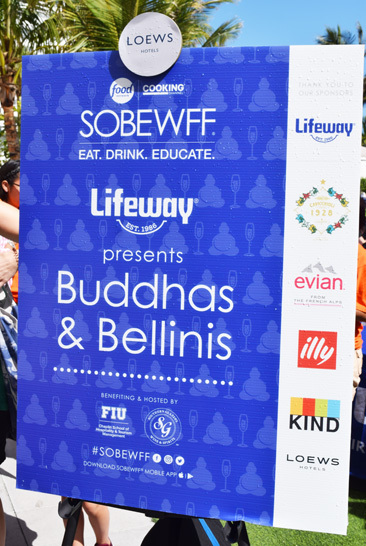 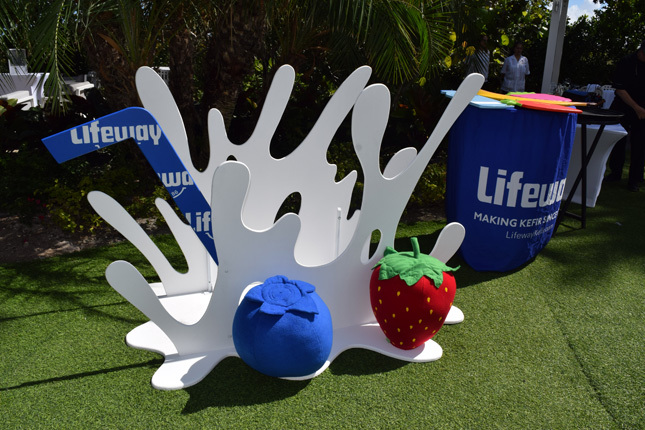 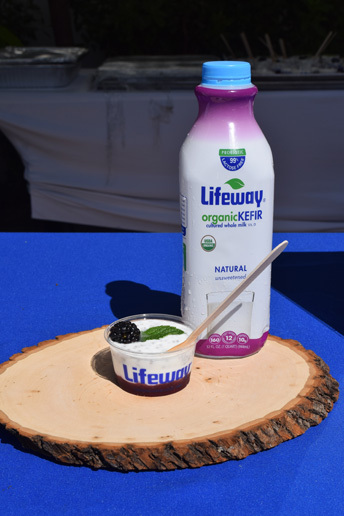 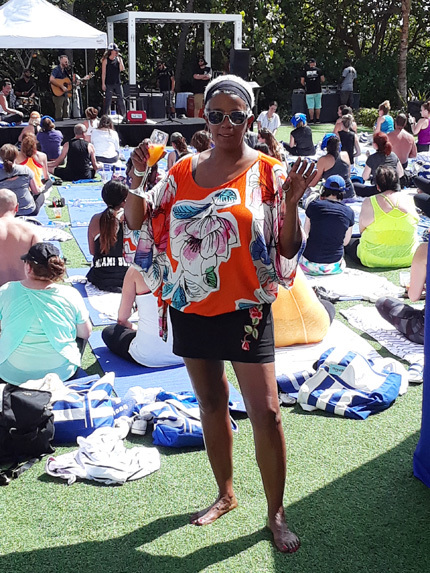 Early Saturday morning just steps away from the ocean, Lifeway Kefir presented ‘Buddha’s and Bellini’s’ centered around relaxation, yoga, jazz and hip music. 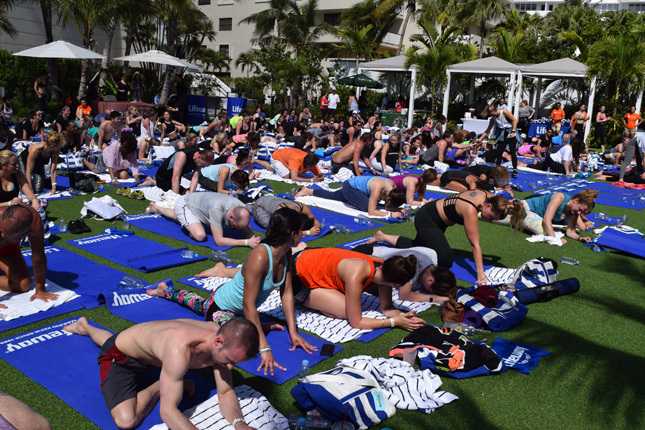 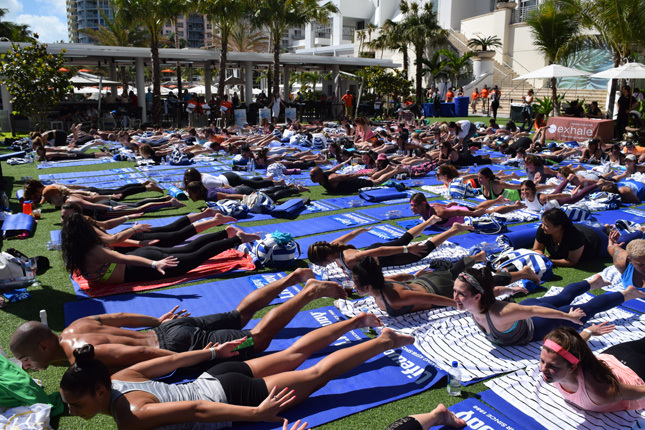 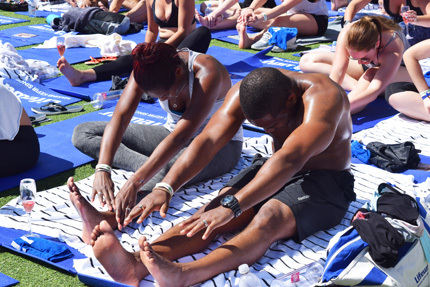 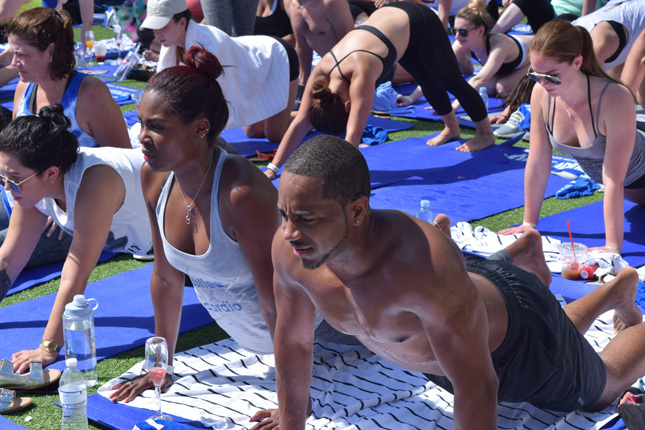 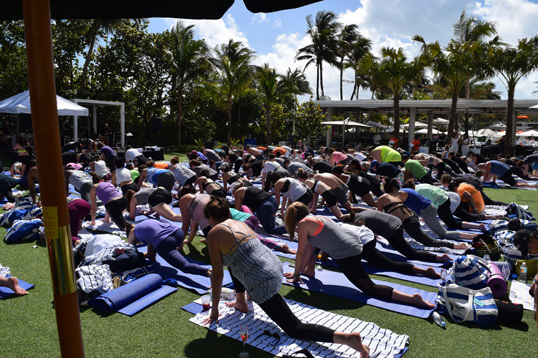 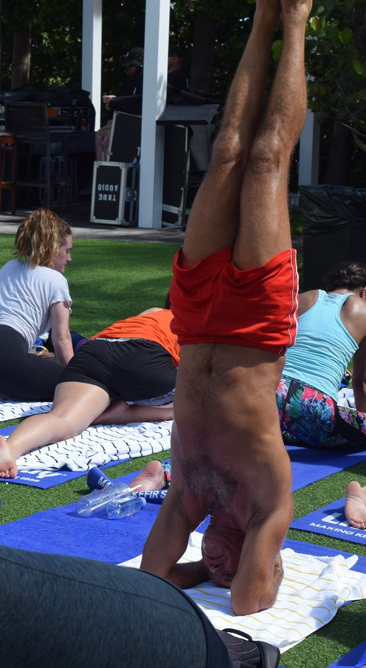 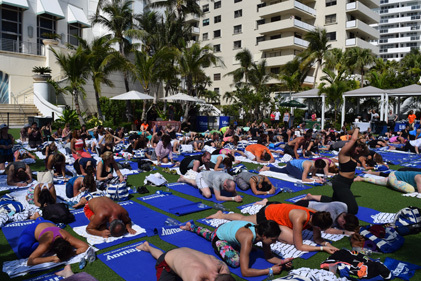 Hundreds of yoga dwellers were spread on the yard namastating their way to a cooler calmer sobewff journey way of life! 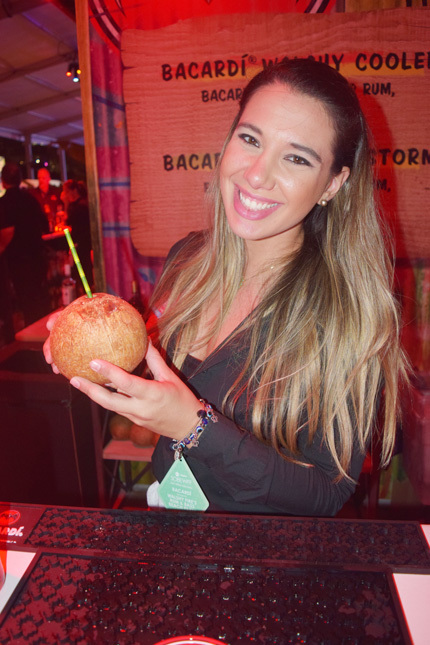 The Goya Food Village focused on Science, Technology, Engineering and Math (S.T.E.M.) 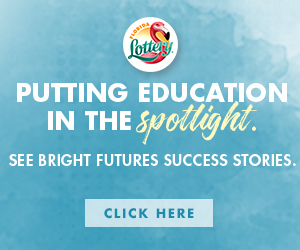 educational for youth. 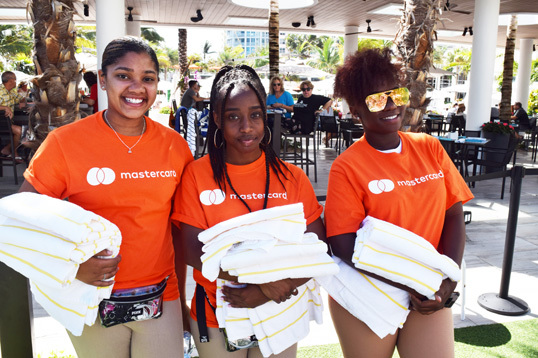 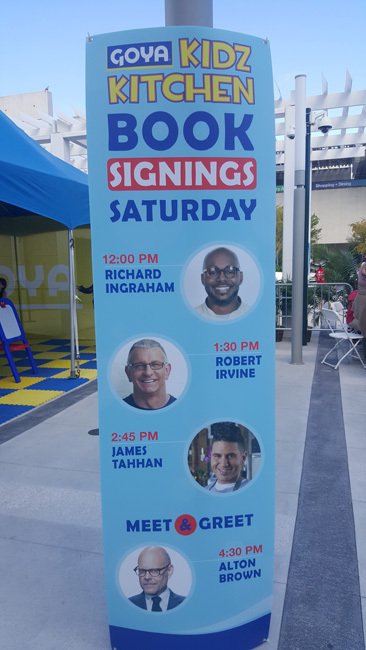 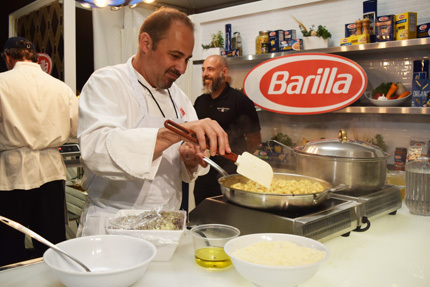 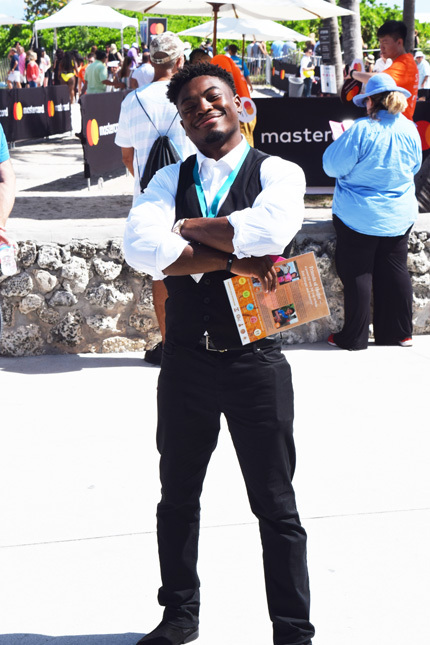 Attendee’s enjoyed interactive demos in the Goya Foods Kidz Kitchen, healthy food sampling, fitness activities, and opportunities to have their books signed by Food Network celebrity chefs at the Phillip and Patricia Frost Museum of Science Museum in downtown Miami. 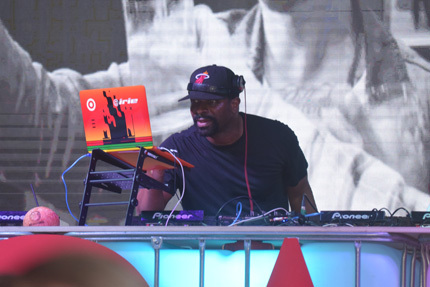 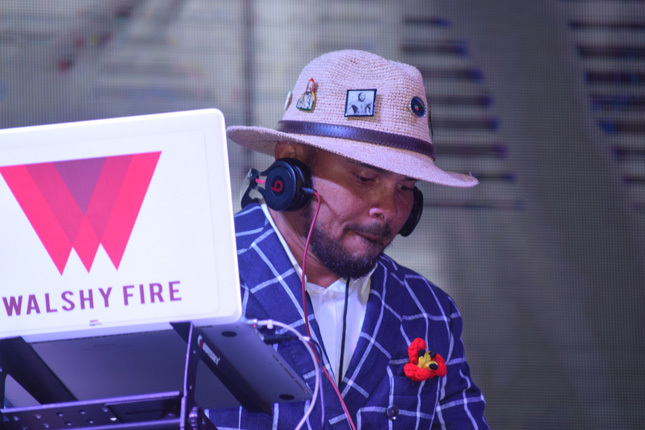 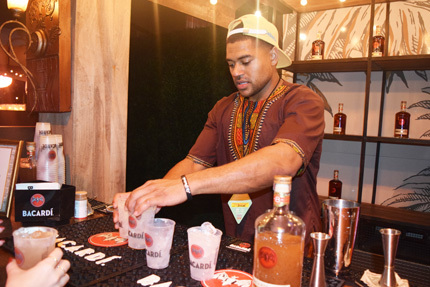 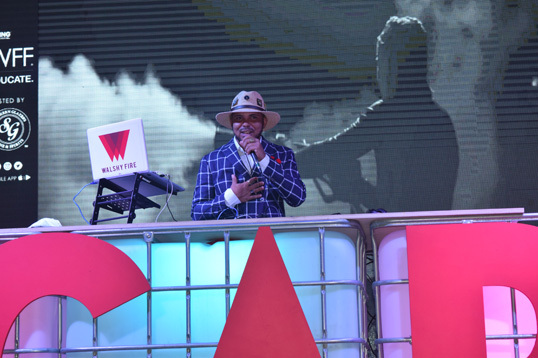 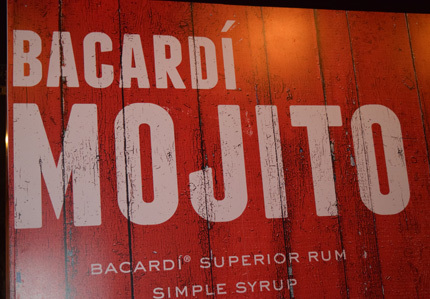 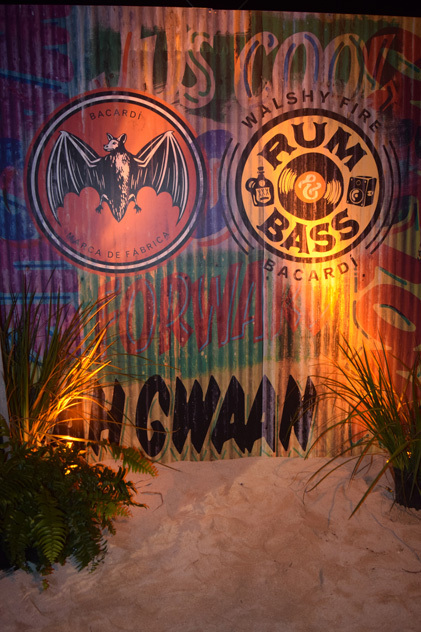 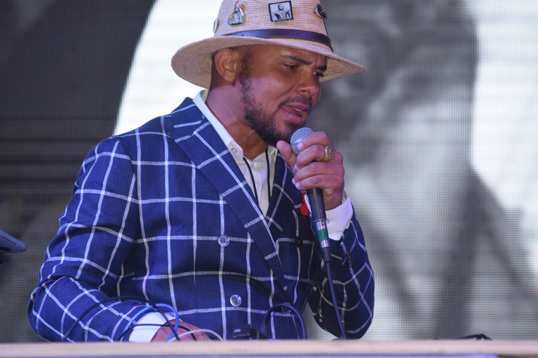 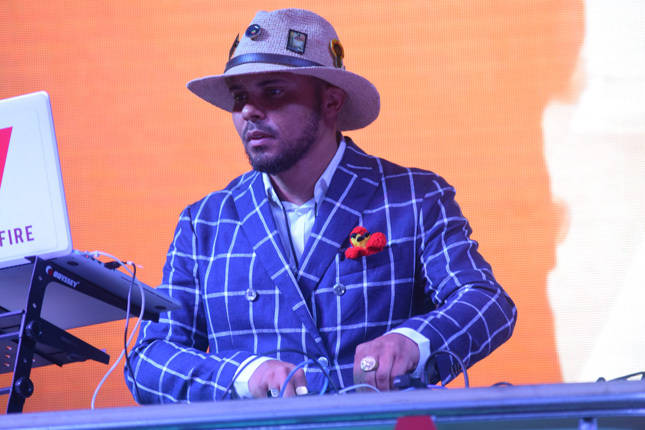 Rounding out the weekend was the Saturday night BACARDI Party bash hosted by Walshy Fire & Friends, including special guest DJ Irie! 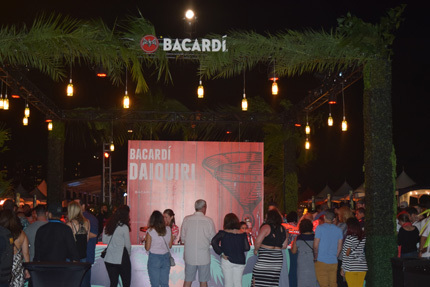 This was a party you did not want to miss. 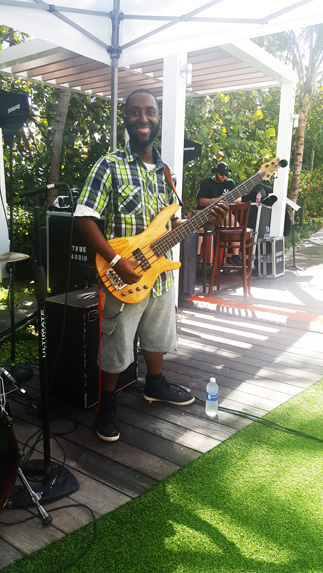 Music flowing and blowing the top 40 hits! 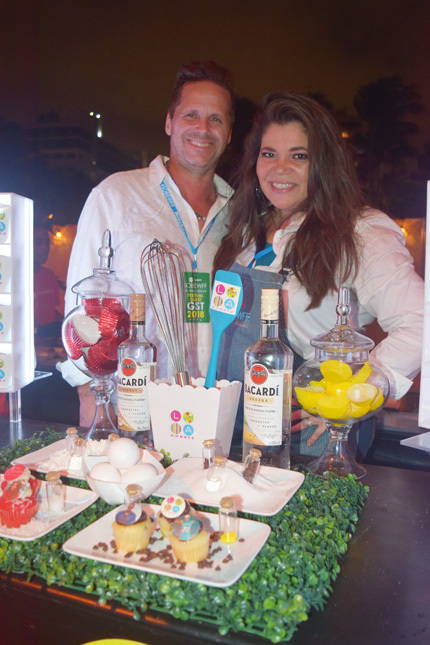 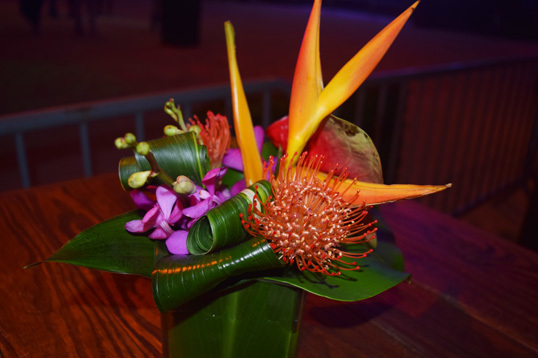 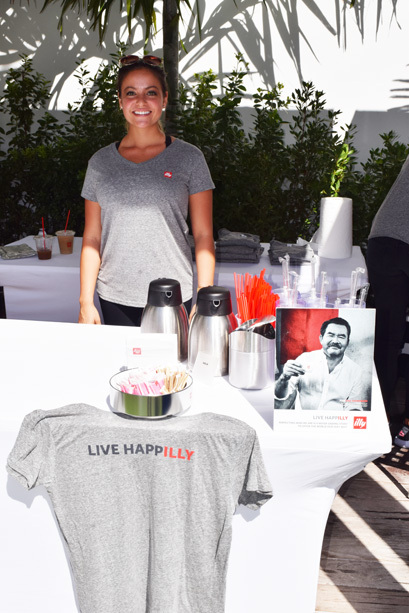 Each year South Beach is turned into a culinary smorgasbord of celebrity chef sightings, food tastings and plenty of fun. 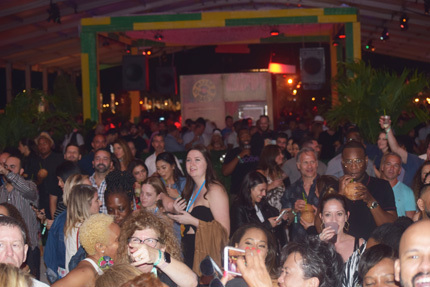 Take a look and get ready for 2019!